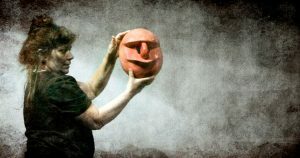 Deborah Hunt ist Maskenbildnerin, Puppenspielerin und Performance-Künstlerin, die über 45 Jahre Erfahrung bei der Entwicklung und Präsentation origineller Theater- und Performance-Arbeiten verfügt. Sie lebt in Puerto Rico und arbeitet international, häufig beispielsweise mit dem Odin Teatret (Dänemark) sowie anderen Künstlern und Theatergruppen. Deborah wird bei der Eröffnungsveranstaltung der Magdalena Saison eine neue Performance zeigen und dann einen zweiwöchigen Workshop zum Thema “Maskengestaltung und Masken-Performance” für Münchner Teilnehmer leiten. Der Workshop wird in Performances an öffentlichen Orten, wie z.B. Einkaufszentren und Stadtplätzen, gipfeln. 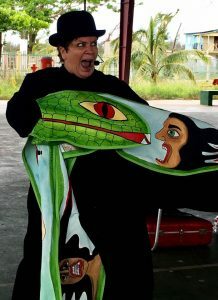 Deborah Hunt is a maskmaker, puppeteer and performance artist with 45 years experience in the creation and presentation of original theater and performance works. She is based in Puerto Rico and works internationally, collaborating frequently with Odin Teatret (Denmark) and other artists and theatre companies. 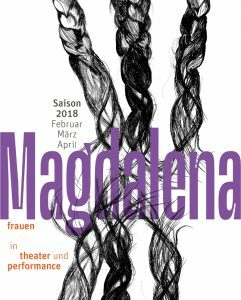 Deborah will present a new performance at the opening of the Magdalena Saison, and afterwards lead a workshop over two weekends for local participants in mask-making and mask performance. The workshop will culminate in performances in public places such as shopping centres and public squares.